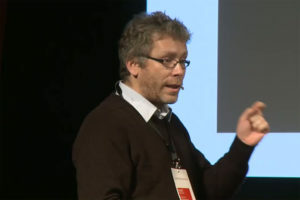 Dirk Helbing is Full Professor of Computational Social Science at ETH Zurich and affiliate professor at ETH’s Computer Science Department and the Faculty of Technology, Policy and Management at TU Delft, where he is coordinating the PhD school “Engineering Social Technologies” for a Responsible Digital Future. He is also External Faculty of the Complexity Science Hub Vienna. Before, he was Full Professor of Sociology at ETH Zurich and Managing Director of the Institute for Transport & Economics at Dresden University of Technology. Helbing is also an elected member of the German Academy of Sciences “Leopoldina” and of the World Academy of Arts and Science. In 2014, he received an honorary PhD at TU Delft. 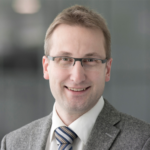 He is a member of the Swiss Federal Committee on the Future of Data Processing and Data Security and of committees on the “Digital Society” and on “Digitization and Democracy” of the German Academies of Science. Public education favoring learning models based on disjointed subjects instead of integrated disciplines has been deeply shaped by an obsession for efficiency through specialization originating in the industrial revolution. In spite of unprecedented access to information through technology modern society is failing to develop increasingly critical skills to deepen and connect information from many disciplines. A 21th century workforce, consisting of highly specialized individuals, is more likely to be replaced by technology such as robots and AI. The notion of the Digital Polymath is a modern reconceptualization of renaissance Polymaths, such as Leonardo daVinci or Hildegard of Bingen. Polymathism has nothing to do with math but with the competency to know many things and to think interdisciplinary. Our vision of the Digital Polymath, similar to the renaissance Polymath, is to enable people to draw on complex bodies of knowledge from different disciplines to solve problems. We focus on two ways employing digital technology. First, people develop a meta-competency, i.e., the competency, including the necessary attitudes, to acquire new competencies. Second, people become Computational Thinkers, i.e., they are able to think with a computer, combining human abilities with computer affordances, to explore and connect complex bodies of knowledge from different disciplines. 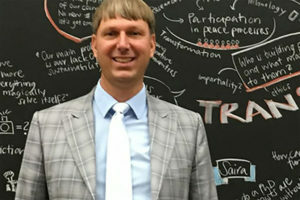 Dr. Alexander Repenning is the Hasler Professor and Chair of Computer Science Education at the Pädagogische Hochschule FHNW in Switzerland and a computer science professor at the University of Colorado. He is directing the international Scalable Game Design Initiative. He has offered game design workshops in the USA, Europe and Japan. Repenning is a pioneer in drag and drop blocks programming and the creator of AgentSheets/AgentCubes. His work has received numerous awards and has been featured in WIRED Magazine. Repenning has served as advisor to the National Academy of Sciences, the European Commission, The Japanese Ministry of Education, the Organization for Economic Co-operation and Development (OECD), the White House Office of Science and Technology Policy (OSTP) and the National Science Foundation. In Switzerland, Repenning was selected to be one of the 100 Digital Shapers. The reconstruction of the 3D world from images is among the central challenges in computer vision. Starting in the 2000s, researchers have pioneered algorithms which can reconstruct camera motion and sparse feature-points in real-time. In my talk, I will introduce direct methods for camera tracking and 3D reconstruction which do not require feature point estimation, which exploit all available input data and which recover dense or semi-dense geometry rather than sparse point clouds. They lead to a drastic boost in precision and robustness. Furthermore, I will showcase some applications ranging from 3D photography and 3D television to autonomous navigation. 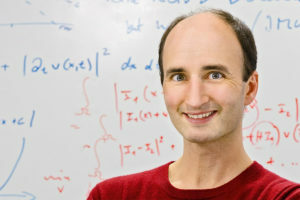 Daniel Cremers received Bachelor degrees in Mathematics (1994) and Physics (1994), and a Master’s degree in Theoretical Physics (1997) from the University of Heidelberg. In 2002 he obtained a PhD in Computer Science from the University of Mannheim, Germany. Subsequently he spent two years as a postdoctoral researcher at the University of California at Los Angeles and one year as a permanent researcher at Siemens Corporate Research in Princeton. From 2005 until 2009 he was associate professor at the University of Bonn, Germany. Since 2009 he holds the Chair of Computer Vision and Artificial Intelligence at the Technical University, Munich. He has coauthored over 300 publications which received numerous awards, most recently the SGP 2016 Best Paper Award, the CVPR 2016 Best Paper Honorable Mention, the IROS 2017, ICRA 2018 Best Paper Award Finalist and the 3DV 2018 Best Paper Award. 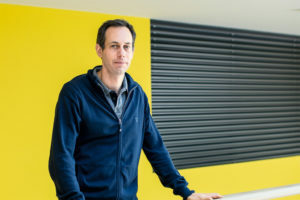 For pioneering research he received a Starting Grant (2009), a Proof of Concept Grant (2014) and a Consolidator Grant (2015) from the European Research Council. In December 2010 he was listed among “Germany’s top 40 researchers below 40” (Capital). Prof. Cremers received the Gottfried-Wilhelm Leibniz Award 2016, the most important research award in German academia. 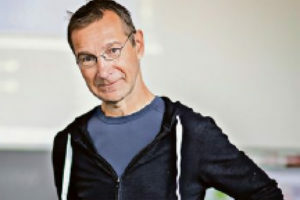 Joining of ETH Zurich in 2007, Marc Pollefeys is a full professor and head of the Institute for Visual Computing of the Dept. of Computer Science. He leads the Computer Vision and Geometry lab. His main area of research is computer vision. One of his main research goals is to develop flexible approaches to capture visual representations of real world objects, scenes and events. Dr. Pollefeys has received several prizes for his research, including a Marr prize, an NSF CAREER award, a Packard Fellowship and a ERC Starting Grant. He is the author or co-author of more than 280 peer-reviewed papers. He will be a general chair for ICCV 2019, and was general chair for ECCV 2014 in Zurich, program chair for the IEEE Conf. on Computer Vision and Pattern Recognition 2009 and was co-chair of the Third Symposium on 3D Data Processing, Visualization and Transmission and has organized workshops and courses at major vision and graphics conferences and has served on the program committees of many conferences. He is a regular reviewer for most of the major vision, graphics and photogrammetry journals. Prof. Pollefeys is/was on the Editorial Board of the IEEE Transactions on Pattern Analysis and Machine Intelligence, the International Journal of Computer Vision, Foundations and Trends in Computer Graphics and Computer Vision and several other journals. He is an IEEE Fellow. 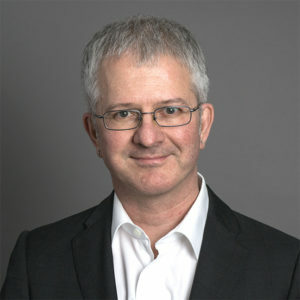 Prof. Dr. Renato Renner, ETH Zurich. Quantum computers exploit quantum physical phenomena such as quantum entanglement. This allows them to solve particular problems, like factoring large numbers, exponentially faster than any classical machine. The “quantum speed-up” has recently also raised the interest of big companies, who are currently investing substantially in the development of quantum technologies. In my talk, I will explain the basic principles of quantum information processing, and also point to some dangers. For example, the ability to factor large numbers will render many of our current cryptosystems insecure. Renato Renner is Professor for Theoretical Physics and head of the research group for Quantum Information Theory. Renner was born on December 11, 1974, in Lucerne. He studied physics, first at EPF Lausanne and later at ETH Zurich, where he graduated in theoretical physics. He then moved to the Computer Science Department to work on a thesis in the area of quantum cryptography. After getting his PhD degree, he spent two years in the UK, where he was a HP research fellow in the Department for Applied Mathematics and Theoretical Physics at the University of Cambridge. In 2007 he started as an Assistant Professor at ETH Zurich. He was promoted in 2012 to an Associate Professor and in 2015 to a Full Professor. His research interests are in the area of Quantum Information Science, Quantum Thermodynamics, and the Foundations of Quantum Physics. A brain-machine interface (BMI) is a system that enables users to interact with computers and robots through the voluntary modulation of their brain activity. Such a BMI is particularly relevant as an aid for patients with severe neuromuscular disabilities, although it also opens up new possibilities in human-machine interaction for able-bodied people. Real-time signal processing and decoding of brain signals are certainly at the heart of a BMI. Yet, this does not suffice for subjects to operate a brain-controlled device. In the first part of my talk I will review some basic machine learning components that facilitate user learning as well. I will also discuss studies, most involving users with severe motor disabilities, showing that BMI is more than just decoding. A central theme is the need for a comprehensive mutual learning methodology that reinstates the three learning pillars of a brain-controlled device (at the machine, subject, and application level) as equally significant. Finally, I will discuss recent work in our laboratory illustrating how to enhance subject learning and BMI performance through appropriate feedback modalities. 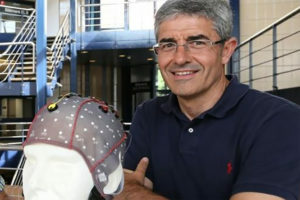 Dr. José del R. Millán joined École Polytechnique Fédérale de Lausanne (EPFL) in 2009 to help establish the Center for Neuroprosthetics. He holds the Defitech Foundation Chair and directs the Brain-Machine Interface Laboratory. Dr. Millán has made seminal contributions to the field of brain-machine interfaces, especially based on electroencephalogram (EEG) signals. Most of his achievements revolve around the design of brain-controlled robots. During the last years Dr. Millán is prioritizing the translation of BMI to end-users suffering from motor disabilities. As an example of this endeavour, his team won the first Cybathlon BMI race in October 2016. Together with his team, he is also designing BMI technology to offer new interaction modalities for able-bodied people. What do a light bulb, a tooth brush, a vacuum cleaner, a t-shirt, tennis rocket, bicycle and a car have in common …..? All of them have been equipped with sensors and connectivity and can be accessed through a smart phone. We are increasing surrounded by such sensor enabled, interconnected things and there is hardly anything left that we do that does not leave a digital imprint. Intelligent (?) digital systems are increasing embedded in all areas of our life. The boundaries between the digital, the physical and social world are increasingly becoming blurred. How will this change our lives ? How can we leverage the increasing confluence of the digital and the physical worlds to create beneficial services to both individuals and the society ? 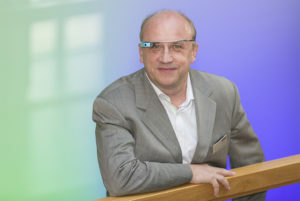 Prof. Dr. Paul Lukowicz has been both Scientific Director of the German Research Center for Artificial Intelligence (DFKI GmbH) and Chair of Embedded Intelligence in the Computer Science Department at TUK in Kaiserslautern since 2012. His main research areas are in context-specific, wearable recognition systems which include pattern recognition, system architectures, models, complex self-organising systems and their applications. Digital Transformation is one of the most protruding topic of our times. Profound changes are taking place in the economy and society: New business models arise, competitive factors are shifting, customer relationships are becoming partnerships, and new ways of work under the influence of a new business culture are established. This entails major consequences for the way we work and live as a society as well as for politics. The Swiss Informatics Society SI and Fraunhofer take a look on how digitalization is tackled by business leaders and politics as a societal challenge, what actually matters for an individual enterprise and draw some conclusions what future initiatives should focus on in order to make digitization a success for Europe. Wolfgang Beinhauer has graduated as physicist and computer scientist in Darmstadt, Germany and Grenoble, France. After a stay in Singapore, he moved to Fraunhofer IAO in Stuttgart. In 2003, he took over the management of the newly founded market strategy team Web Application Engineering. Since 2018 he is heading the department for Digital Strategies and Organizational Design. 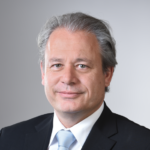 Wolfgang Beinhauer is initiator of “Digital Transformers”, an innovation network of companies that drive their digital transformation. In the frame of this network, a box of tools and methods for the digital transformation has been developed and validated. This systematic approach has been applied for the systematic transformation of various larger organizations successfully. Ronnie Brunner graduated as electrical engineer from ETH, has an MBA from the University of Rochester and is a Netcetera founding partner. As a member of the executive management, he has, among other things, set up the product business at Netcetera as a second pillar alongside the project business. He will continue to carry out operational tasks in the product environment and strategically develop the product portfolio of the Netcetera Group. Thomas Flatt is an entrepreneur, consultant and a board director. 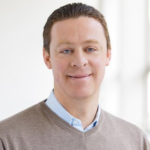 This follows after his career as a physician, a management consultant at the Boston Consulting Group, as member of the executive committee at Swisscom Group as well as Adeccoand, most recently, as board member of Abraxas. He received his doctorate in medical computer science and earned his MBA at INSEAD in Fontainebleau. 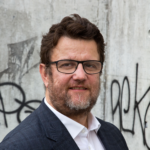 Thomas Flatt is president of the industry association, swissICT, and vice-president of the governing body, ICTswitzerland. Reinhard Riedl holds a Master of Science in Engineering and a PhD in Pure Mathematics. He has carried out research in computer science, business informatics, and legal informatics and he has participated in miscellaneous research and innovation projects in various disciplines and domains, such as economics, healthcare, and ethongraphy. 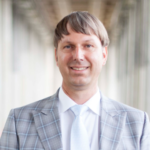 After visiting professorships at the University of Rostock (“High Performance Computing”) and the University of Zurich (“Communication and Distributed Systems”) he was appointed research professor for “E-Government” and director of research at the business school of Bern University of Applied Sciences (BFH). Now he is chief science officer there and head of the transdisciplinary BFH-Center for Digital Society. His current research focuses on design and governance of data platforms, patterns in digital transformation, and digital geopolitics.